Looking for a fun item to add to the gift closet? Walmart is offering the Hasbro Mr. 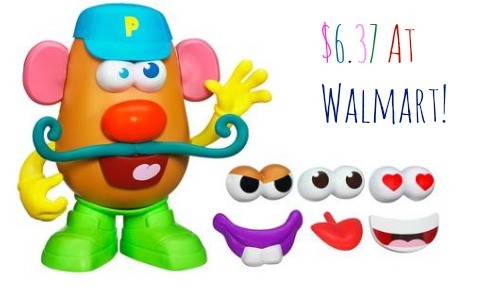 Potato Head Tater Tub Set for $6.37, regularly $14.97. This toy contains over 15 pieces including a baseball cap, feet, mustache, nose and more for kids to have fun with and attach to Mr. Potato.